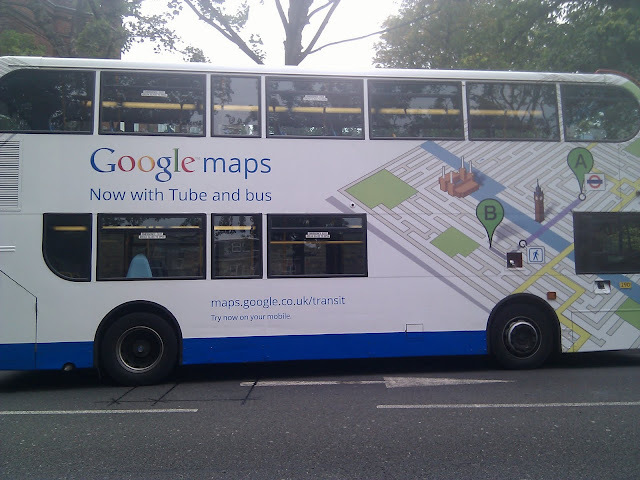 Google Maps for London now includes tube and bus information. What better way to highlight this than wrapping a double decker bus???!!! Google is literally taking this world by storm; but seriously.. advertising on a double decker bus is brilliant. advertising on a double decker bus is brilliant.